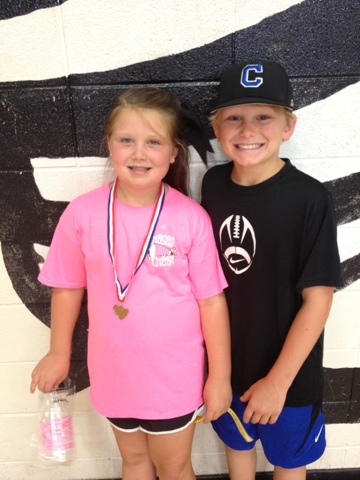 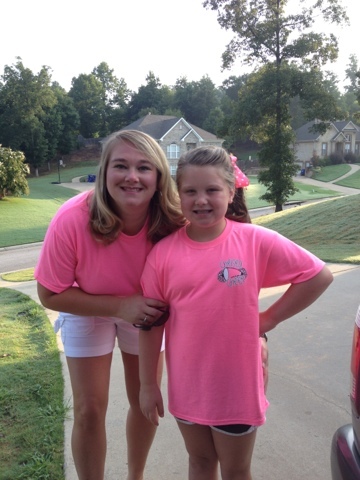 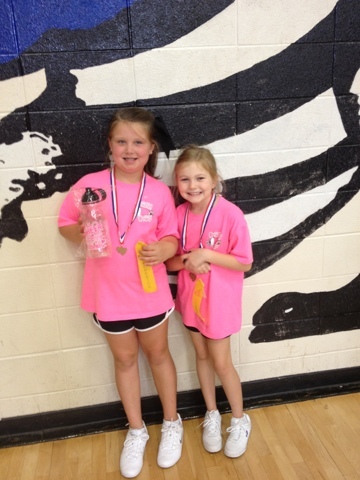 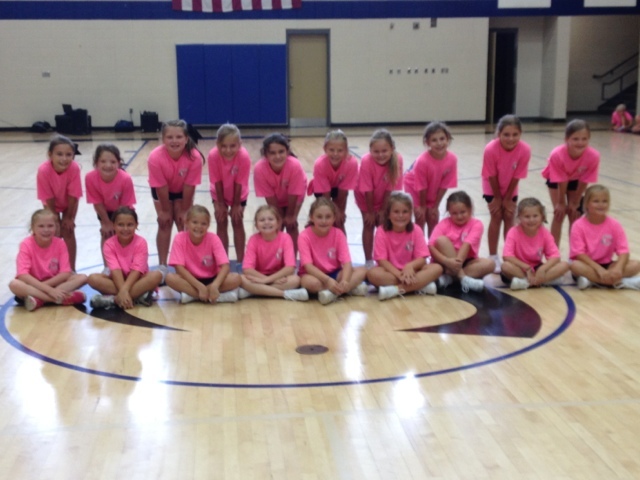 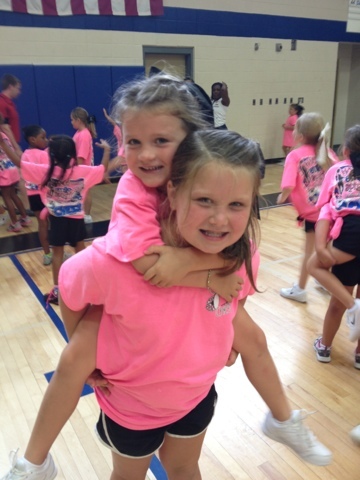 Brylee had cheer camp last Friday and Saturday! 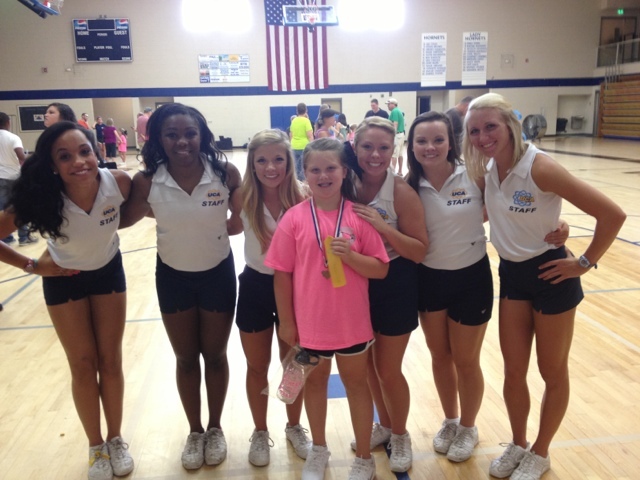 I am on the cheer board so I had to be there for the camp! 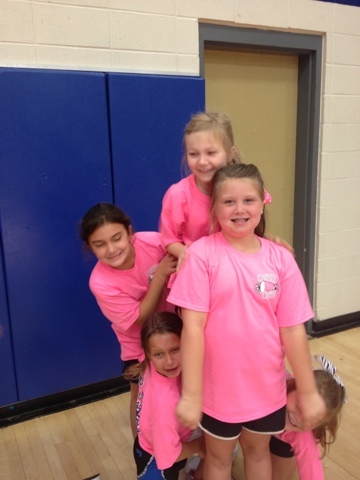 they all had fun doing it and singing and dancing!!! 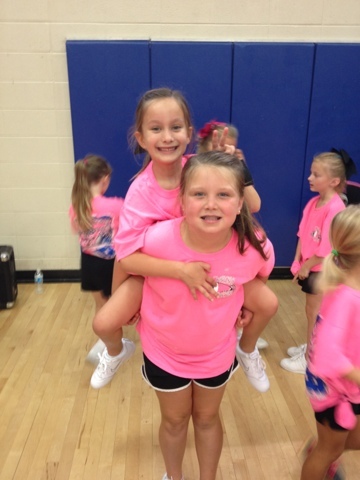 It is the lastest craz for sure!!! 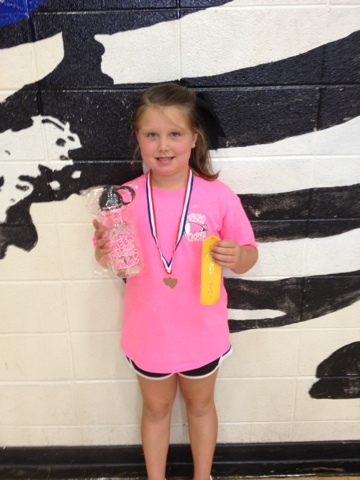 Brylee with her medal, ribbon, and water bottle she wanted as her prize!